From the text “What is an Ornament”, by Asger Jorn, first published in Dansk Kunsthaandværk (årg 21, nr 8 p. 121-129) in August 1948. AN ORNAMENT? No, a drawing of the orbital paths of a radium atom. Within the most basic elements of matter, ornamentation exists as an objective reality and facilitates mankind’s subjective appreciation of all forms of ornamentation, which is nothing less than the grammar of substance; the geometry of matter itself. A common interest is discovered. Texts are being shared. Together a need is formulated. Towards a point of entry: What is an Ornament? 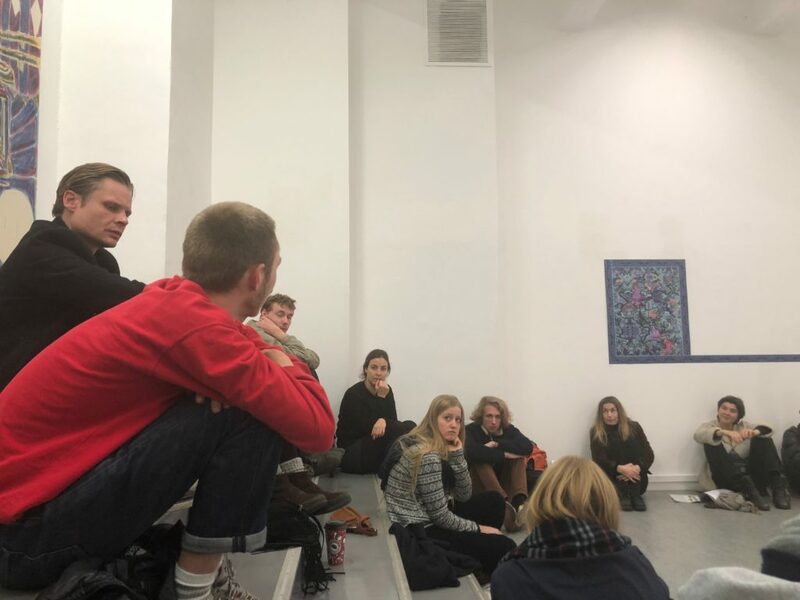 is the first in a series of exhibitions / classrooms that with a particular focus on his writings explore the work and thinking of Asger Jorn. Each event will present one text chosen by the exhibiting artist(s). Since we want a classroom and an exhibition to coexist, we encourage all participants to read the text in advance. The text will be accessible (both in Danish and English) in the main reception at The National Academy of Fine Arts in Oslo. Fossveien 24. The text is the ticket. Our proposal is the following format: The first half hour we will spent on looking at the exhibition, followed by a conversation between all participants. The exhibiting artist(s) as well as the participants shares their experiences with the text and the exhibition that is surrounding us. The conversation will not be mediated. 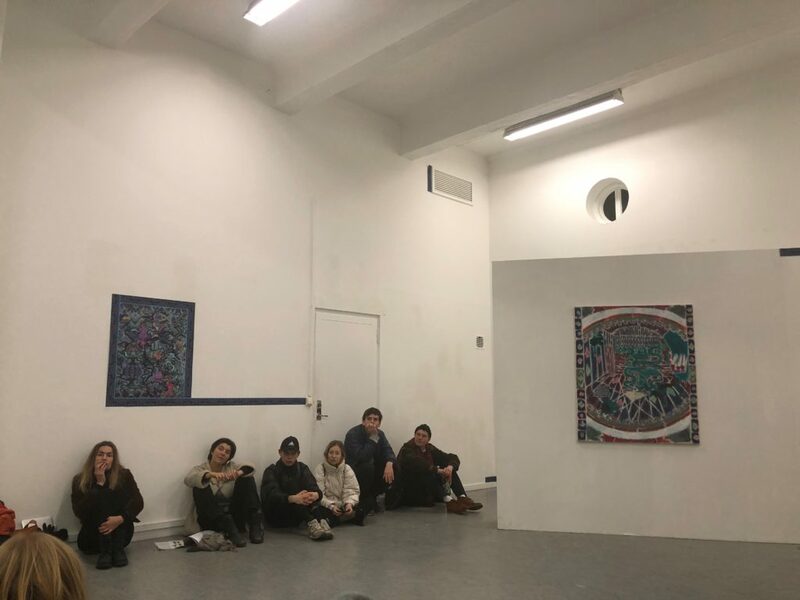 Together will we move from the position of spectators to participants and look for individual or/and collective points of entry into the thoughts of Asger Jorn, the practice(s) of the exhibiting artist(s) and each other. 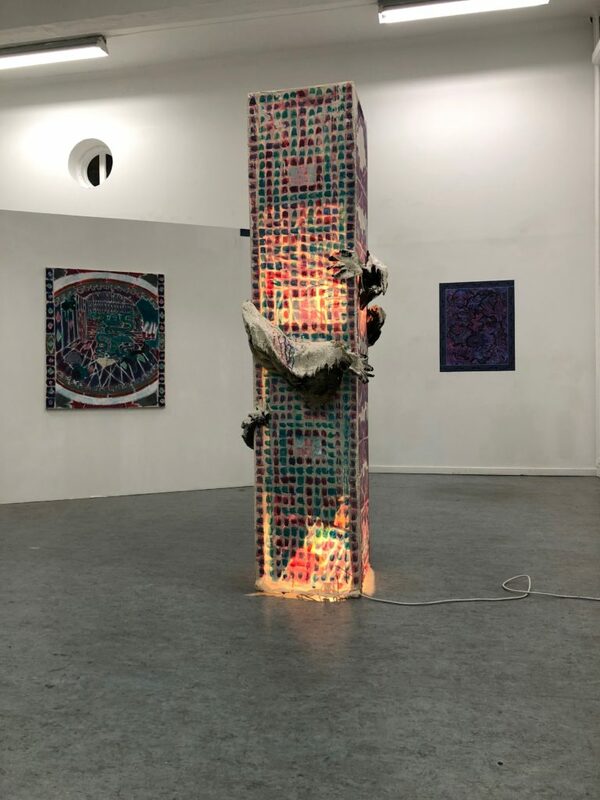 Towards a point of entry is initiated by Thomas Bremerstent, Espen Kvålsvoll and Anna Sofie Mathiasen. The first two exhibitors are also two of the initiators Thomas Bremerstent and Espen Kvålsvoll. They have chosen the text What is an Ornament, first published in Dansk Kunsthaandværk (årg 21, nr 8 p. 121-129) in August 1948. Thomas Bremerstent (1992, Aarhus, Denmark) lives and works in Oslo. Espen Kvålsvoll (1992, Trondheim) lives and works in Oslo. Anna Sofie Mathiasen (1995, Copenhagen, Denmark) lives and works in Oslo. All three of them study at The Academy of Fine Art in Oslo.